Great News: Ar Prem Nath felicitated by Hon' Minister of Housing and Urban Affairs,Shri. Hardeep Singh Puri on the occasion of 5th National Conference of resident welfare association held on 19th November'17, Mumbai. In the Picture: Shri. 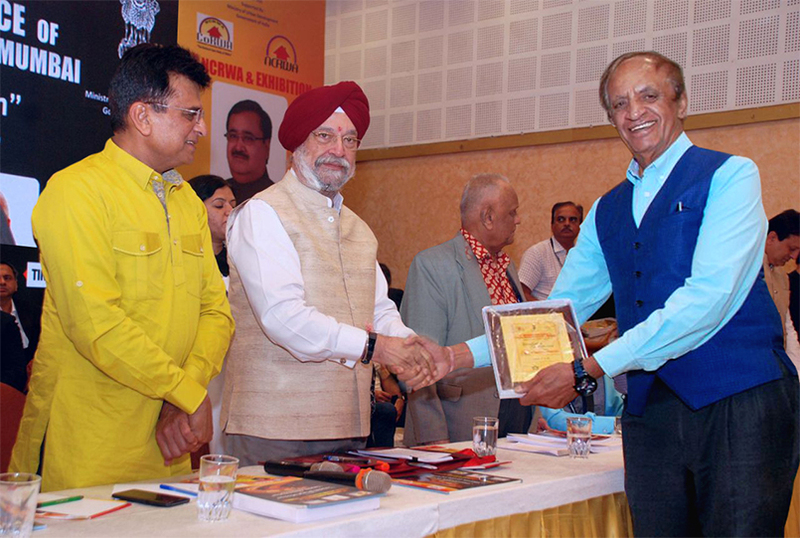 kirit Somaiya, Shri Hardeep Singh Puri and Ar. Prem Nath.